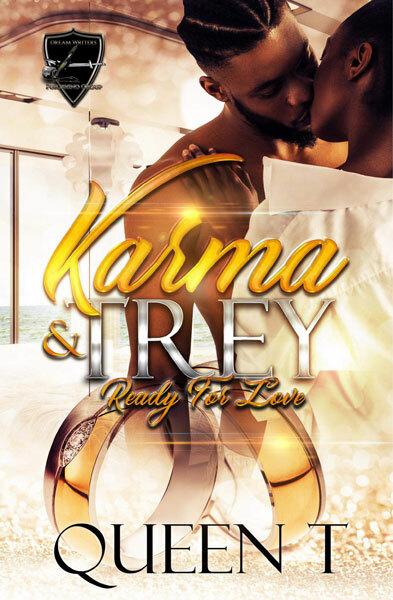 Queen T has certainly created a unique story in Karma and Trey, which lets the reader peer into a life they otherwise would not have experienced before. The novel Karma and Trey revolves around the title characters and their family and friends. Karma's life hasn't always been an easy one, sexual abuse when she was a child, mental health and even the murder of her husband, the children's father; meanwhile Trey who survived by running the streets before becoming legitimate business owner has his own skeletons in the closest from his past. So when they find each other and an unexpected love story blossoms it's a delight and everything they deserve. Expertly using the characters and giving them such difficult backgrounds and issues to overcome allows the reader to see, experience, and understand their desire to better themselves. By including this version of rag to riches element in her story has the reader rooting for the title characters in the hopes that they get everything they deserve. Queen T showcases the fact that it doesn't matter where you came from, or what is in your past, there is still hope that life will get better. How this book is laid out is perfect for Queen T's creative style of story-telling, the reader gets to see and explore the narrative from different character's points of view. Rather than giving just one person's point of view Queen T shows the other side of the coin by letting the reader see the other side of the story. The phrase "there is always more than one side to every story" is everything that this book encapsulates; this allows the reader to see and understand the motives of the characters that lead them to do questionable things that they otherwise would not get to know. Starting each chapter with a different character's point of view also extends the tension, action that bit longer leaving the reader hungry for more, hungry for a satisfactory conclusion. Queen T has a talent, in this novel, of giving the reader just enough information to wet their appetite, whether its action and conflict or a character's back story. This is an ingenious way of keeping the reader hooked from chapter to chapter on their quest to discover more information. Everyone has different faces they use in their daily life and Queen T's Karma and Trey expertly uses that to develop the characters and the story. One of the best character development and exploration of different faces is in the character of Trey. Trey becomes a multidimensional character through the author's creative use of faces; Trey has the brash almost thuggish face that he shows most of the world and then the sweet romantic caring face that he keeps private only showing those he cares about. His second face will have readers pining for him, wanting to make him real, wanting to make him theirs. Overall, Queen T's book is an entertaining dramatic read, which will keep readers hooked from chapter to chapter, from scene to scene. Her creative use of language and structure sets this novel apart from others in the dramatic romance genre. Queen T has successfully created a narrative that gives the reader a slice of life and drama that they otherwise may never experience and opens their eyes to an entirely different yet not so distant world. until we both eventually fell asleep." 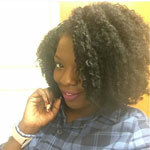 Tatiana Sanon is a 32 year old author and publisher hailing from Queens, New York. She obtained her Bachelor's Degree in Behavioral Science from Mercy College and is currently enrolled in a Master's of Science program with a concentration in Special Education. As early as she could remember she had always loved reading and writing. After being introduced to the new and trending genre of Urban Fiction by her older sister, she became hooked to the new and graphic tales written by Terri Woods and Nikki Turner. Every week after getting out of school she rushed to Jamaica Avenue to purchase books written by her new favorite authors. Eventually, after collecting over two hundred plus paperbacks, she took a chance in writing her first novel but soon put it on hold to focus on school. Queen T is a mother, a student, and teacher. After graduating college in 2018 she decided to give writing another shot and began penning her first series, "Karma Before Konscious," which evolved twice before becoming the series it is today. Since the release of Karma and Konscious Queen T was born and this versatile Queen has since penned four novels with many more set to release in the next three months.Connect with her on social media.